On 25 October 2018, the shareholders of Thermo Electric Instrumentation B.V. have announced the sale of the company to Pentronic AB. The sale is part of Thermo Electric Instrumentation’s growth strategy that will be further accelerated through partnering with an industry partner with a complementary geographic footprint and product range. Majority shareholder Foreman Capital, in close consultation with management, decided earlier this year to investigate the potential divestment of Thermo Electric Instrumentation in order to enable the company to accelerate its long-term growth strategy. Becoming part of a group with a complementary product portfolio and geographical footprint will allow Thermo Electric to further expand the company’s activities and realize its growth opportunities. With Pentronic AB, supported by Indutrade AB as a group holding company, Thermo Electric Instrumentation has found such a partner. The sale of Thermo Electric Instrumentation is the logical next step following the company’s carve out from Doedijns Group International at the end of 2013. In the meantime, the company has focused on further professionalization and growth. Pentronic, founded in 1965, is a company that manufactures temperature sensors and related items, and is seen as absolute market leader in Scandinavia. Since 2001, Pentronic has been part of Indutrade AB, a Swedish listed company with a portfolio of companies focused on high-end products and solutions. Indutrade has a long term vision which is fueled through acquisitive growth of companies active in industrial manufacturing or trading. Thermo Electric Instrumentation B.V. will continue to operate as a standalone company with a strong product-market focus, focused on realizing its growth potential. 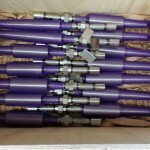 For more information, please contact Martin Rosmolen or Jan Willem Noordermeer, telephone number +31 85 760 7300, email info@te-instrumentation.com or via our website. Thermo Electric Instrumentation is global player in engineering, manufacturing and servicing thermocouples, RTD`s (Pt100) and thermowells. 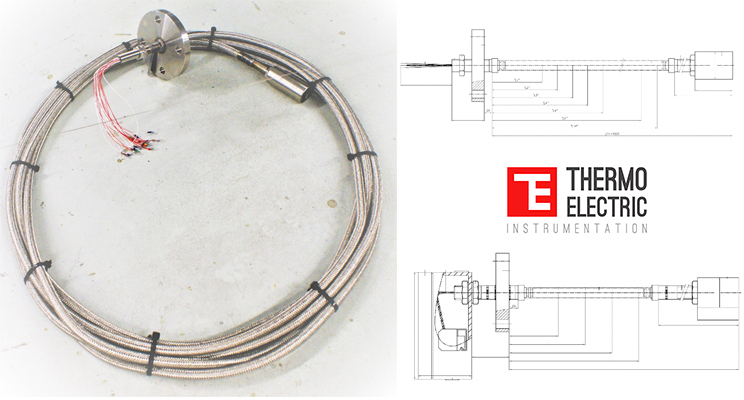 Thermo Electric temperature sensors can be used for measuring and controlling every process with a temperature range from the absolute zero point up to 1500 °C and utilized in processes dealing with corrosive chemicals, vibrations, electrical interventions and high pressure. Foreman is an entrepreneurial investor, focused on growth and expansion of West-European companies in the trade-, manufacturing and/or services industry. As actively contributing investor, Foreman supports entrepreneurs, family business and management teams in realizing their growth ambitions. Pentronic develop, manufacture and sell thermocouples and Pt100 resistance thermometers (RTDs), cables and connectors, and also process connections and market IR-radiation pyrometers, transmitters as well as instrumentation like indicators, controllers, loggers and temperature calibration equipment. Pentronic has an accredited calibration laboratory that has the corresponding quality level of many national laboratories. 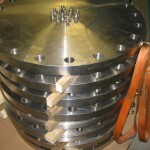 Indutrade is an international industrial group that sells and develops high-tech components, systems and services. Indutrade markets solutions that streamline their clients systems and processes. With a decentralized structure, Indutrade operates through more than 200 subsidiaries with some 6,000 employees in 31 countries and four continents. Indutrade has been listed on Nasdaq Stockholm since 2005. Thermo Electric Instrumentation (TEI) in the Netherlands has obtained the renewal of the CCoE (PESO) certificate. Herewith our temperature assembly types XPS2 and XPS3 are approved for use in ZONE 1 of Gas IIC hazardous areas in India. 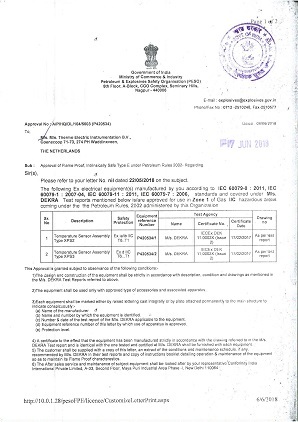 A copy of the certificate is listed here. If you wish information on this matter or TEI in general, please feel free to contact us. Thermo Electric Instrumentation invites you to participate at The Abu Dhabi International Petroleum Exhibition and Conference (ADIPEC) Exhibition 2018, taking place from 12-15 November 2018 in Abu Dhabi, United Arab Emirates. The 21st edition will take place at the Abu Dhabi National Exhibition Center. ADIPEC is one of the world’s premium and most influential events and meeting point for the oil and gas industry. Over the years the exhibition has grown exponentially. ADIPEC 2017 attracted over 2.200 exhibitors and 100.000 visitors from 135 countries. Furthermore the exhibition hosted more than 200 conference sessions and over 900 expert speakers. We welcome you at our Thermo Electric Instrumentation booth in hall 11, booth number #11252. Thermo Electric Instrumentation respects the privacy of its business relations and the users of our products and services. Thermo Electric Instrumentation only processes personal data insofar as these are necessary for the proper fulfillment of its services. More information about how we protect your privacy can be found in our privacy statement. Thermo Electric Instrumentation does not provide personal data to third parties, unless the legislator so requires or unless the person whose data is processed gives permission for this himself. If Thermo Electric Instrumentation makes use of external service providers in the performance of tasks, Thermo Electric Instrumentation requires these external service providers or processors to comply with the legal framework for the protection of personal data. Thermo Electric Instrumentation ensures proper protection of all personal data by taking suitable organizational measures and the use of modern technical IT facilities. If changes occur in our privacy statement, we will publish the amended statement on our website. At Thermo Electric in Waddinxveen (NL) we are getting ready for the holiday season. 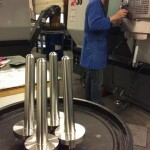 The pictures were taken by our scientific analysis department and enthusiastic colleagues in our factory. In the spirit of the holidays we envision Christmas decorations in it. Platinum and free silicon sometimes combine and impress us with wonderful creations. 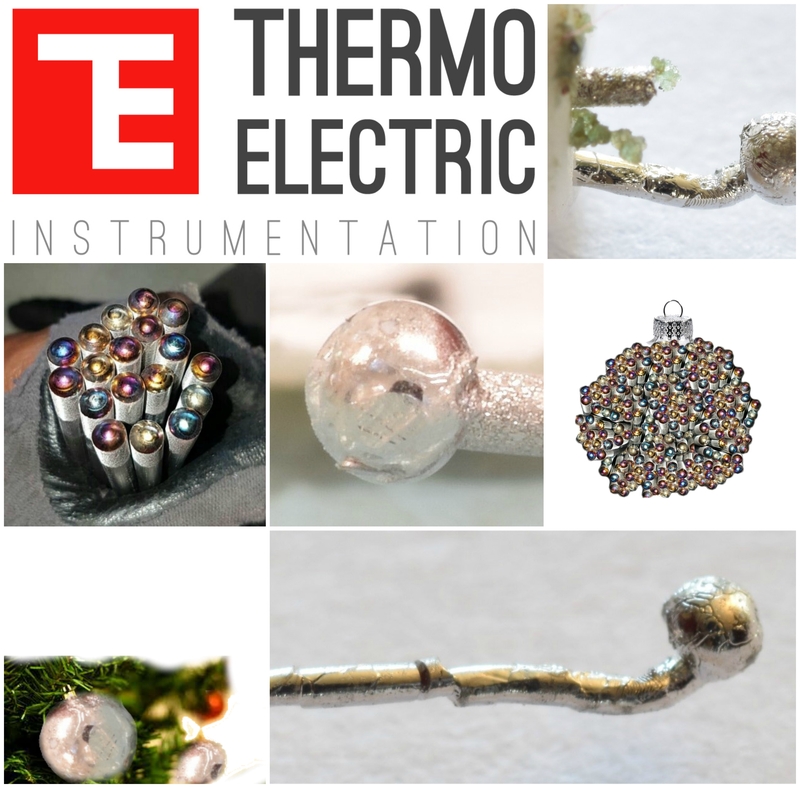 Thermal effects also provide us with beautiful images and the just welded ends of temperature-sensors giving the impression of Christmas balls. Quite often however, beyond all this beauty, lies an issue for some, and an opportunity for Thermo Electric. 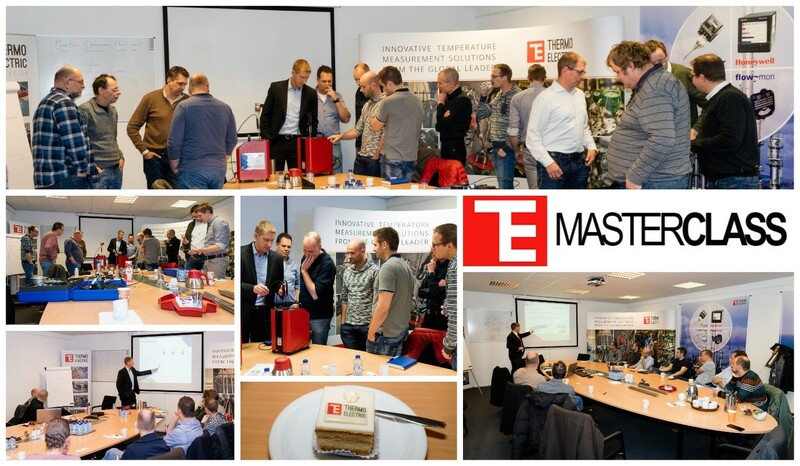 On Monday November 27th and Tuesday November 28th, Thermo Electric Instrumentation invited a wide variety of customers at their premises in the Netherlands for the TE-Masterclass. During the two-day event Thermo Electric Instrumentation provided a profound training on temperature measurement, temperature sensors and temperature calibration. The first day was primarily focused on the basic principles of temperature measurement and the diversity in temperature sensors such as thermocouple constructions and RTD sensors. In addition to the basic theory about the sensors, participants were invited to join an in-depth discussion about obtaining the best measurement results in a wide range of applications to combine theory with daily reality. In close cooperation with SIKA Germany, the second day of the TE-Masterclass was fully dedicated to temperature calibration. During his day the “how” and “why” have been discussed alongside a practical training on laboratorial and portable temperature and pressure calibration. We would like to thank all attendants for their participation and interest in the TE-Masterclass. 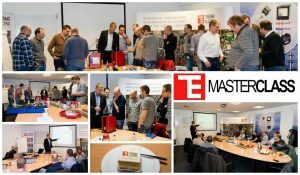 As the second edition of the TE-masterclass was successful, new dates and TE-masterclass topics for 2018 will follow soon! Do not miss your chance to participate in next year’s editions! 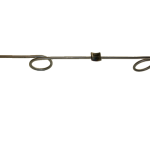 The Multispot RTD assembly measures temperature with a number of Pt-100 spot elements placed at different heights, to provide a tank temperature profile and an average temperature. Only the fully immersed elements are used to determine product temperature. 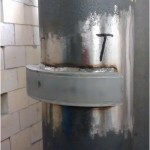 Installation in the tank is easy by using the right flange or screwed construction. • The assembly can be supplied with or without a junction box. 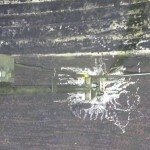 Thermo Electric Instrumentation invested by adding 1.000 sqm. production and office facilities to their existing headquarters in order to facilitate growth within the industrial temperature sensor market. 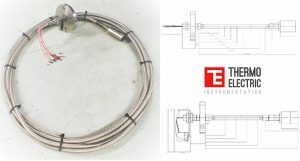 The additional facilities supports the strategy of Thermo Electric Instrumentation in facilitating its growth in the production of industrial temperature sensors, multi-level temperature sensors for storage tank, hydro-cracker or catalyst reactor applications, tube-skin temperature sensors for boiler or furnace applications, in-house manufacturing of thermowells, spiral type thermowell constructions for high velocity applications and high-temperature resistant constructions with for example a double ceramic thermowell assembly. Feel free to contact Thermo Electric Instrumentation at your earliest convenience or stop by for more information. BOOK YOUR TE MASTERCLASS NOW! We look forward to our new TE Masterclass, which will take place on 27 and 28 November 2017. We hope that you are as excited as us to sign up and attend this master class.